Castle fans, here are the moments you've made the most-watched of Season 7 so far. Of course, it's all about Castle and Beckett scenes. Reminisce with these top videos to prepare for the Season 7 finale, "Hollander's Woods" airing Monday, May 11, and don't forget to celebrate Castle's renewal for Season 8! 1. 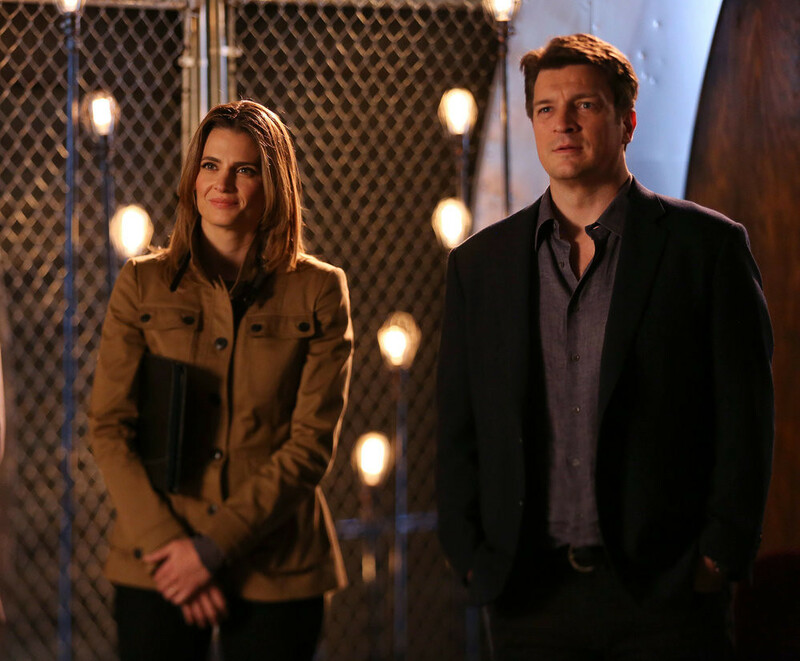 Castle and Beckett's Wedding: This one is a no-brainer! In Season 7, the Caskett love story reached its most romantic when Castle and Beckett finally tied the knot in a beautiful ceremony in the Hamptons. "Mrs. Castle, may I have this dance?" 2. Kate Watches Castle's Goodbye Video: Beckett tears up watching the emotional video message Castle recorded when he thought he was saying goodbye to the love of his life forever. "I've always loved you. Always." 3. Castle’s Alive: After holding on to hope and searching desperately for Castle for two long months, Beckett is overjoyed when Castle turns up alive. "I just never thought I'd see him again." 4. How Did Beckett Survive? Castle and Beckett have an emotional heart-to-heart when he finally comes home after his mysterious two-month disappearance. He apologizes for all the pain he put her through. "We can't just pick up where we left off, can we?" 5. Beckett Takes Castle Back for Answers. As the evidence piles up that Castle was instrumental in his disappearance, Beckett starts to lose faith in him. But a trip back to the scene where "his" tent was found by a lake in Massachusetts gives Beckett a compelling reason to believe him. "Castle, just tell me the truth. You owe me that much." Watch the Season 7 Finale "Hollander's Woods" for more great Castle & Beckett moments! News Castle Videos: Can You Guess the Top Scenes from Season 7 (so far)?